Home run catch in one hand, offspring in the other. There may be no entrapped pool of human talent left on earth with the dollar value of Cuban baseball players. I felt as intensely focused as a diamond-cutting laser; Grand Theft Auto IV was ready to go. My friend and I played it for the next 30 hours straight. Instead, I was waiting for someone… said to be a genius and a paranoid obsessive, the greatest chess player who ever lived and an obnoxious crackpot. I was looking for Bobby Fischer. I can unequivocally say that this is one of the top five most abysmally, hyperventilatingly, throbbingly appalling experiences of my life. The only small ray of consolation was that I wasn’t alone … It’s not just me being humiliated, it’s the culture and inhabitants of an entire continent. 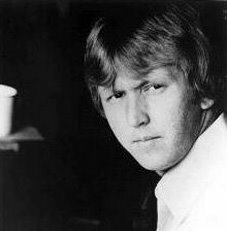 Harry Nilsson, of the great songs, magnificent voice and the going on the piss with John Lennon a lot in the 70s is a big fav here at sportreview. Later in his career, he attempted to write a stadium chant (along the lines of creepy Gary Glitter’s Rock and Roll (Part Two)) for the LA Dodgers, who, like Harry, were originally from Brooklyn. Moneyball is about a new approach to baseball, hiring Harvard statistics nerds to scout talent, going deep inside the stats to find the most effective players. Oakland A’s GM Billy Beane, portrayed as an obsessive perfectionist lead the A’s to the play offs several times early in the noughties with a fraction on the budget of most teams. Using number crunching to scout meant the A’s recruited players who were fat, old or just had weird technique who, crucially, got the job done – on paper. Michael Lewis is one of the smartest writers around, and he brings this world of number crunching and hours alone with Excel to life. This book caused a storm in Baseball with theories that flew in the face of what ‘traditional baseball guys’ valued. It would be fascinating to see this approach applied to Cricket, another sport that lends itself to statistical obsession. Michael Lewis article on Moneyball in Basketball (NY Times).